* If you are a beginner or a mediocre writer, send your material to other Iranian media. If you got talent, send it to us. IPC wants the best; they can have the rest. - Articles must be in English. - Articles must be flawless, spell/grammar checked and well edited to be looked at or considered for publication. - Write a title for your article and put your name or alias under the title. - Write a few lines on top of your article, about what is your article about, so we can properly index it in different sections. - First time writers, must write a short biography of a few paragraphs or a profile about themselves for their future index page, and title it: "About Me (your name)". Also tell us, if you want your e-mail address to be published? - Select a picture of yourself or an image, which you identify with, and we will use it to make your permanent logo in IPC. Image must be 70 x 70 pixels max, and in JPEG format (if you can't resize, just send it to us and we will resize it). - Select pictures (any size but in JPEG format) related to your article to be published with your article. - Article Writers, title the subject of your E-mail: "IPC Article Print" or it will move to spam folder and get deleted. - Send your articles as plain text, in the content of the E-mail or as word document attachment. - Send all the images related to the article, as a "separate" attachment or Zip file, and in JPEG format. - Writers do not get paid. For more information, read Editorial Policy and Frequently Asked Questions. - For more information read So You Want to be an Author? * If you are a beginner or a mediocre Artist, send your material to other Iranian media. If you got talent, send it to us. IPC wants the best; they can have the rest. - We Prefer images of 5 x 7 inches but not larger than 6 x 8 inches and not smaller than 3 x 4 inches. - Good resolution, 72 dpi resolution is a must. - Photos, Graphics, and Cartoons must be in JPEG or GIF format. - Animations must be in GIF format. - Images can be uploaded on another web site or photo album. Then you would send us the URL address, so we can download them. - Title your album, write a paragraph or two about your album, and select a name or short description for your images (optional). - First time artists, must write a short biography of a few paragraphs or a profile about themselves for their future index page, and title it: "About Me (your name)". Also tell us, if you want your e-mail address to be published? - Photographers, subject title your E-mail: "IPC Photo Print" or it will move to the spam folder and get deleted. - Cartoonists, subject title your E-mail: "IPC Cartoon Print" or it will move to the spam folder and get deleted. - Graphic Artists, subject title your E-mail: "IPC Graphics Print" or it will move to the spam folder and get deleted. - Animators, subject title your E-mail: "IPC Animation Print" or it will move to the spam folder and get deleted. 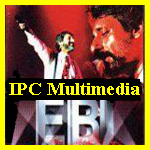 - Video/Audio Clip-Makers, subject title your E-mail: "IPC Multimedia Print" or it will move to the spam folder and get deleted. 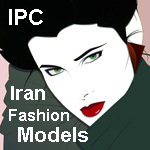 - Models, subject title your E-mail: "IPC Models Print" or it will move to the spam folder and get deleted. 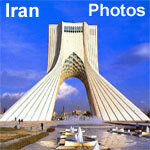 - Send your images and art work as attachment or Zip files. - Artists and Models do not get paid. For more information, read Editorial Policy and Frequently Asked Questions. 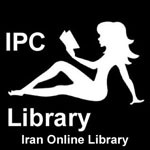 * If you are a beginner or a mediocre author, send your material to other Iranian media. If you got talent, send it to us. IPC wants the best; they can have the rest. - Books must be in English. - Books must be flawless, spell/grammar checked and well edited to be looked at or considered for publication. - Write a title for your book and put your name or alias under the title. - Write a few lines on top of your book, about what is your book about, so we can properly index it in different sections. - First time authors, must write a short biography of a few paragraphs or a profile about themselves for their future index page, and title it: "About Me (your name)". Also tell us, if you want your e-mail address to be published? - Select pictures (any size but in JPEG format) related to your book to be published with your book. - Authors, title the subject of your E-mail: "IPC Book Print" or it will move to spam folder and get deleted. - Send your book as word document attachment or Zip file. - Send all the images related to the book, as a "separate" attachment or Zip file, and in JPEG format. - Authors do not get paid. For more information, read Editorial Policy and Frequently Asked Questions.